Genuine Fender® Pure Vintage '56 / '59 Stratocaster® Eggshell, 1 ply, 8 hole pickguard for 3 single coil pickups. 0.060" thickness. Accepts Phillips oval head pickup and selector switch mounting screws. 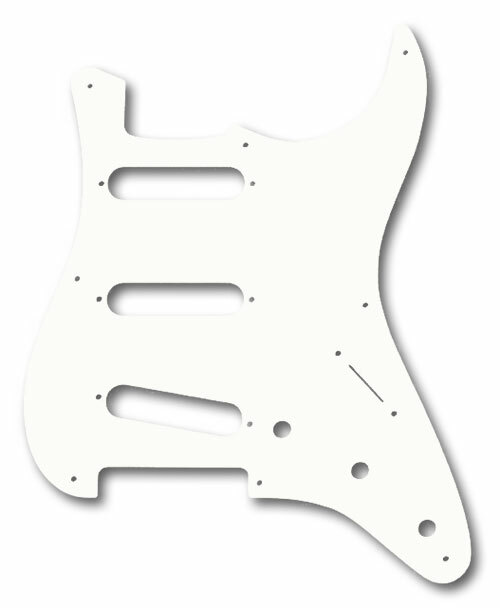 This new "Eggshell" color is a very slight shade of "not-so-white", but basically looks white, only when compared against a white pickguard can you really tell the difference.